In today’s circumstances, it is hard to imagine immigration success stories. But there are some happenings that do encourage us not to ever lose hope. 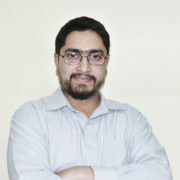 Syed Latif is a recent example in this regard. 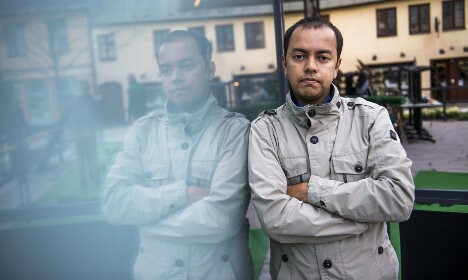 For last six years, Syed Latif, 35 have been residing in Sweden with a steady job that he found on LinkedIn. Earlier this year, Latif was told to leave the country as he will not be granted further work permit by the Malmo migration court. He was shocked for getting rejected for residency. In 2010, Latif moved to Sweden to study at a university. He later on found a job in Malmo in exchange bureau and became a highly skilled part of the community. He was running a language café in a neighboring town in order to help refugees learn Swedish language when he was forced to leave the country. The court rejected his further stay in the country because it stated for the rules of job recruitment are to prefer EU residents for getting employed or getting promoted. And Latif job was advertised on LinkedIn rather than Arbetsformedlingen, which is a Swedish job center for job recruitments. But now finally, Latif is on its way back to Sweden after getting deported Bangladesh which was his home country. He is overwhelmed with the European Commission’s decision for being offered a new employment for which he applied through Arbetsformedlingen. He is offered a job at Horby, Skane of an accountant. The Swedish migration agency has confirmed to him last weekend that he will be provided with work permit and residence. Swedish government is creating so many obstacles for people to reach the country and find a proper job for themselves whereas the government itself wants to attract young talent for promoting technical influx in the country. This case of Latif has once again spurred up the recent issue of a Pakistani developer Tayyab Shabab. He has been rejected further stay in Sweden because of an administrative error that was caused by his former employee. Many technical giants are supporting the case for Shabab and are requiring all the tech industries to speak up for his case. For this purpose, they have designed an online petition that requires 10,000 signature so that Shabab could be allowed to stay in the country.